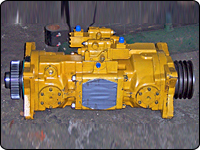 For Hydraulic Pumps, Motors, Valves and Cylinders including Clutches, Controls and Power Units. 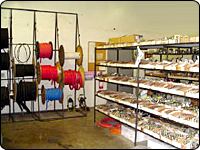 Hose assemblies made while you wait including Hydraulic, Air and Water Hoses. Custom made Tanks and Cylinder components. 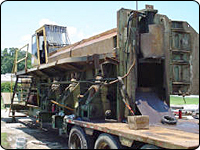 Welding services for Stainless, Aluminum and Steel. Custom-made pieces to your specifications. Cylinder components fabricated in-house. 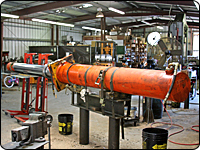 We repair most type of pumps, motors and valves including Submersible, Diaphragm and Rotary. Products and Accessories including Multi-Velocity Hydraulic Oils, Non-Conductive Oils and Biodegradable Oils. 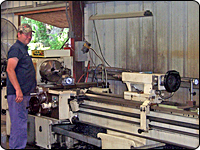 We repair most brands and manufacture cylinder parts in-house. 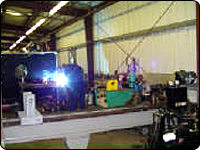 Full fabrication shop and complete machine shop. Net 30 with Credit Approval "Licensed and Insured"